What a mouthful! Ashwagandha is also known as Ayurvedic or Indian Ginseng. Ashwagandha has anti-inflammatory and antioxidant properties. But is it real? That is up for interpretation on an individual basis. However, there have been several scientific studies proving that ashwagandha does indeed make a difference in relation to anti-aging. The question is what is the proper ashwagandha dosage. The herb is a great benefit as it, not only supplies some of the antioxidants your body needs but induces a calming and soothing effect. Ashwagandha is an herb that is used in Ayurveda, the traditional Hindu medicine. The herb is a wonder “drug.” It is a natural therapy that helps your body cope with stress. In today’s world, we all have too much stress. Stress takes a toll not only on our bodies but on our brains. All anti-aging programs should include a dose of ashwagandha. It will help to alleviate both anxiety and stress on your body and on your brain. Ashwagandha is derived from the root of the plant or from the leaves. KSM-66 is gleaned from the root of the plant and has a high concentration of ashwagandha extract. Withanolides and sensorils are the active compounds in the ashwagandha. They are the potent part of the herb, the substance that improves your health. Not all ashwagandha is the same. It comes in two different varieties and which one you decide to take depends upon the desired effect. Withanolides is the active substance from the root. Sensoril is the active substance from the leaves. Either or both varieties are good for you. Many ashwagandha capsules or pills are standardized with 2.5% withanolides. This means that 2.5% of the extract by weight is withanolides. The variety KSM-66 is standardized to 5% of withanolides. KSM-66 promotes improved memory and cognition, enhanced energy, stamina, as well as strength and muscle recovery. The second variety, sensoril, promotes cardiovascular function, encourages a more restful sleep, and increases resistance to fatigue. Sensoril comes from the root as well as the leaves of the plant. It is more concentrated than KSM-66 with over 10% withanolides. High withanolide content ashwagandha extracts are likely to be whole-plant extracts. They have a mixture of both roots and leaves. A higher potency supplement does not mean that it will work better or faster. More is not necessarily better when it comes to this supplement. It is a bad idea to take too much of the herb. Scientific studies have been performed to show that the ashwagandha dosage of this herb will help to regulate your immune system and help with your ant-aging efforts. As an added bonus, the herb may help with insomnia. One study was performed by the NBCI (National Center for Biotechnology Information). Pregnant women should definitely NOT take the supplement. The studies are mixed. Some stipulate that it will help but some say it will only do harm to the fetus. It would not be a problem if some ashwagandha was ingested by a pregnant woman. However, as in all things, moderation is the key. Nevertheless, unless prescribed by a physician it would not be a good idea. The most common ashwagandha dosage ranges from 300mg – 600mg. This means that it contains 5mg to 25mg of withanolide. Our recommendation is to take no more than 600 mg per day, with a potency of no more than 5% withanolides. You should definitely be leery of purchasing any ashwagandha that does not have the amount of the milligrams of the supplement stated on the bottle. The word “standardized” on the label means that each capsule contains a certain stated percentage of withanolides. Try ashwagandha to see if it works for you. Everyone is different and you should always consult your physician before beginning a regime of supplements. Try either variety. Ashwagandha is a recommended supplement for anti-aging. However, if you decide to give it a try, stay with the ashwagandha dosage for 6 weeks. The research studies recommend taking the supplement for 6 weeks to see the complete results. A week or a day is not long enough to achieve the desired benefits. We recommend Nature’s Way capsules. These capsules contain 500 mg of ashwagandha with 2.5% withanolides. A perfect combination. 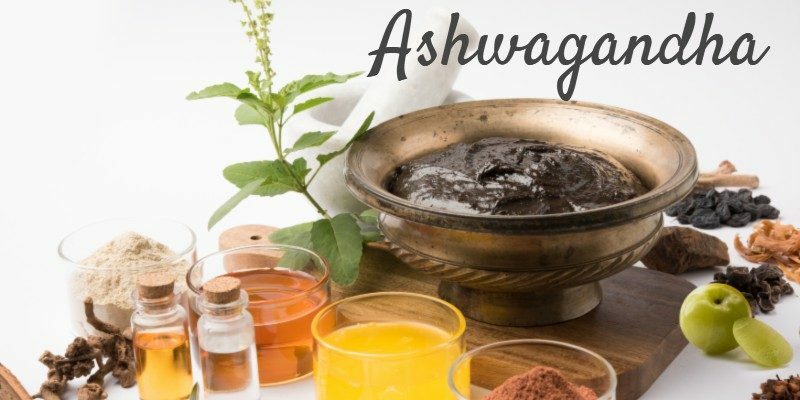 The company iHerb makes it easy to purchase ashwagandha. Check out GuideForSeniors.com for more anti-aging tips.